This is the official lacrosse training group for 3Sixty Athletics and Joe Mascaretti. Joe Mascaretti is the founder of 3Sixty Athletics. While earning both his BS and MS in Exercise Science from Hofstra University, he was a member of the Pride's D1 lacrosse team. Joe spent the next 4 years playing in the MLL with the Long Island Lizards while he coached college and high school lacrosse, before starting 3Sixty Athletics. He's had the pleasure of training athletes at all skill levels, from youth leagues to Division 1 college All-Americans and Brazilian Juijitsu champions. Over the past 10 years, Joe has worked with hundreds of athletes and has established himself as the go-to sports performance coach among athletes on Long Island, NY, and has spread 3Sixty worldwide via the online training programs you find here. Having played at the highest levels, Joe is sought out by athletes for his unique ability to blend game understanding and strategy with high performance training, injury prevention, and post-rehab work. You're here because you take your lacrosse game seriously and want to be trained by a former MLL and Division 1 player. You're here because you know lacrosse requires the performance qualities of most all other sports combined. You're here because you are committed to your game. So committed that you want to ensure you're doing every single thing possible to improve yourself for next season. 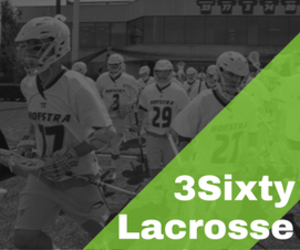 3Sixty Lacrosse is the only training program designed specifically for lacrosse players, by lacrosse players, to improve strength, power, speed, endurance, and agility. © 2019 3Sixty Athletics All rights reserved.